Pale Indian Plantain (Cacalia atriplicifolia) is not something you are going to run across at your local garden center. It is a Midwestern native found in rocky woodlands, thickets and wet meadows throughout Illlinois, “conspicuous but uncommon” according to Swink and Wilhelm. I obtained a few from my friend Victor and scattered them about just to see what they would do, this being the only one to bloom this year. 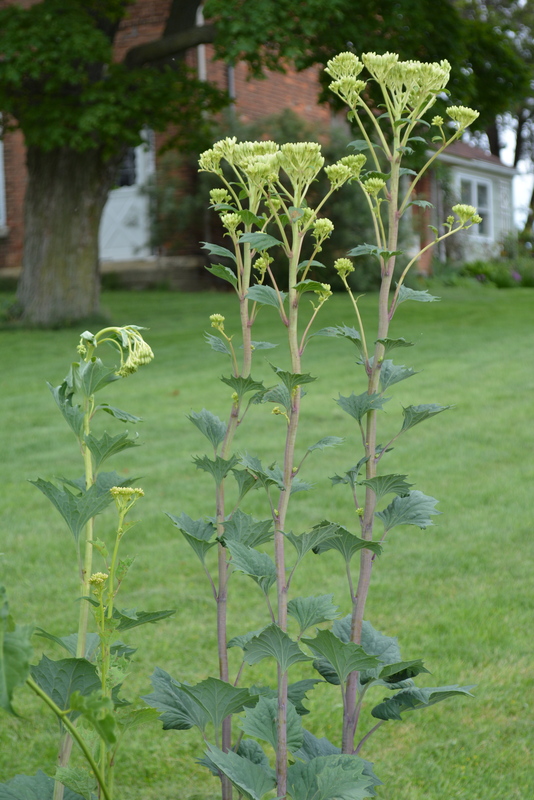 What a lovely thing it has turned out to be, conspicuous to be sure, and not just in flower. 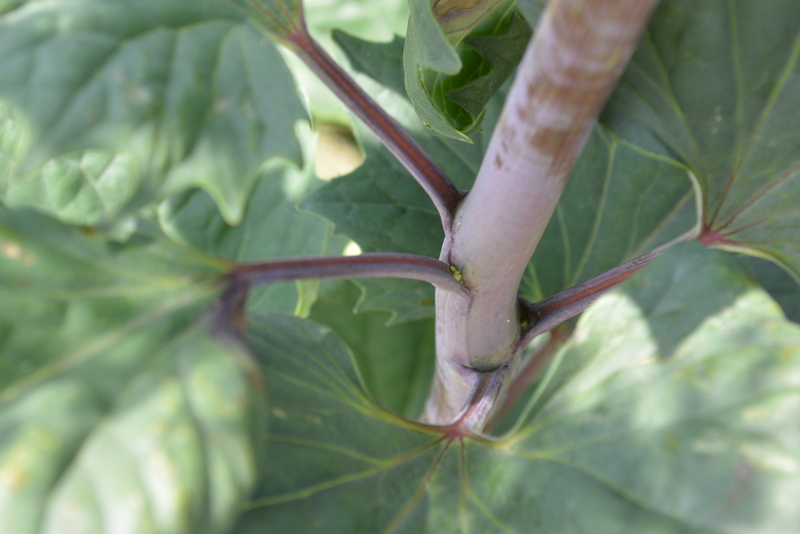 Leaves and stems are thick and leathery. 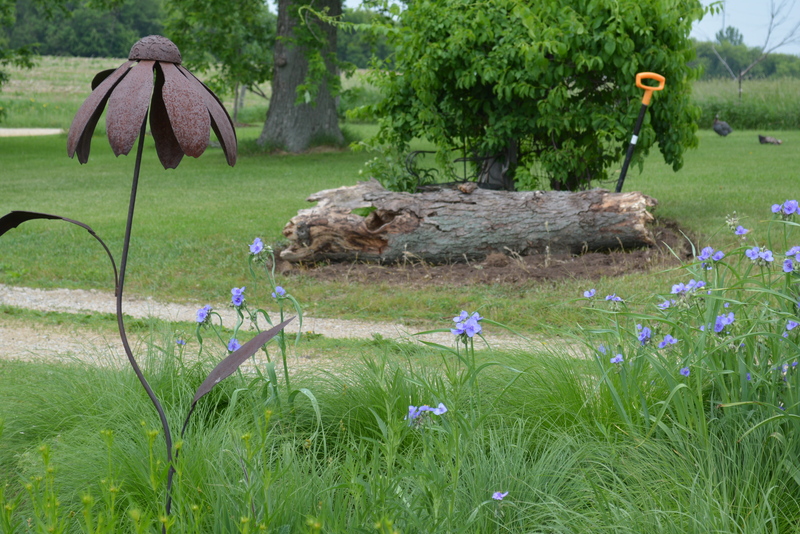 Leaves are blue-gray in color while the stems and petioles display a purple cast. Creamy white flowers exude an aroma like vanilla. Forgive the blur — I haven’t quite mastered the macro feature of my camera. A couple years back I rolled a hollow log into this bed that consists of nothing more than a jumble of Bittersweet clambering up an electric pole. 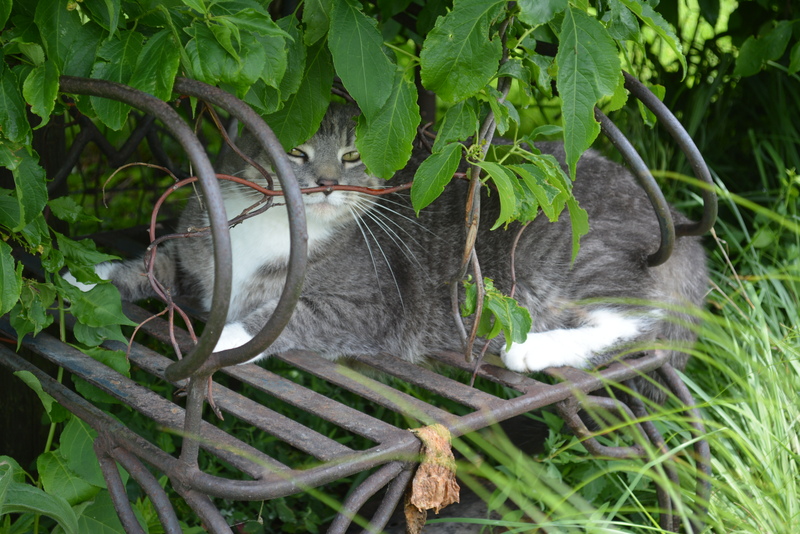 There is an old gate and chair hiding in the jumble, along with Kitty. 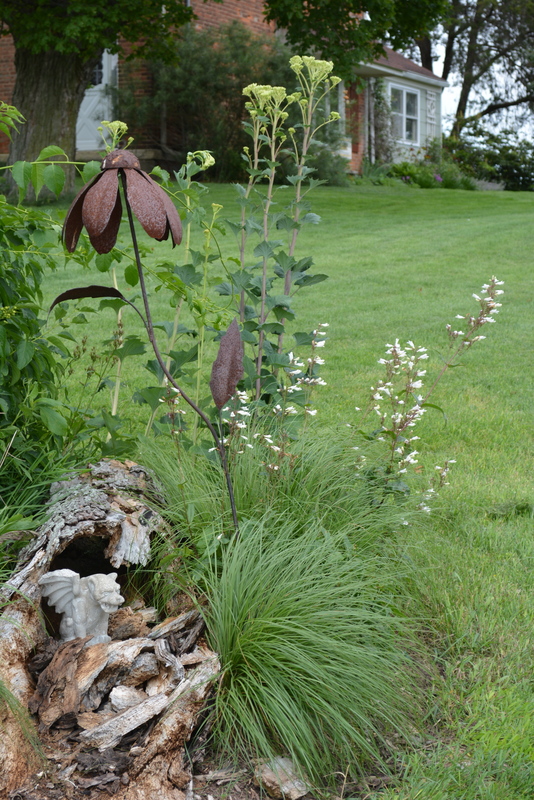 Prairie Dropseed (Sporobolus heterolepsis) and Foxglove Beardtongue (Penstemon digitalis) are nearby companions. Alas, the snowplow almost demolished the old log last winter. It appears that deadheading will extend the bloom. Right now I am content to watch the show.